Horsham Grains Innovation Park – The Wimmera’s best kept secret. 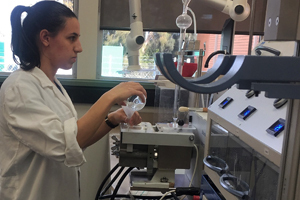 Nestled in Victoria’s wheat belt at Horsham, many would be surprised to learn there is a world-class research facility delivering regional, national and international benefits in regional development and science and innovation. The facility, which today is known as Grains Innovation Park (GIP), celebrates its 50th birthday this year. 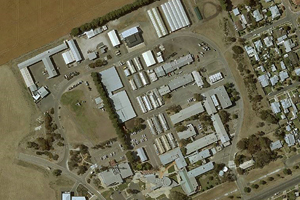 Since opening in 1968 as a wheat research site, GIP has grown to house over 150 staff, including Agriculture Victoria, Regional Development Victoria, Victorian Fisheries Authority, Department of Environment Land, Water and Planning’s Forest Fire Management and Horsham Incident Control Centre services. As a regional site, GIP is punching well above its weight with state-of-the-art science capabilities and infrastructure delivering innovations in crop genetics, agronomy [a branch of agricultural science that deals with the study of crops and soil] and farming systems and crop protection, along with biosecurity and animal health services to improve the global competitiveness and sustainability of Victoria’s agriculture sector. Rich in brains, as well as grains, GIP continually attracts the best minds internationally with staff and their families relocating to Horsham from over 30 countries to take advantage of the facilities and the collaborative science teams. That’s a smart move for future innovation as collaborations between people of different cultural, political and religious backgrounds has been a key factor in scientific advances throughout history. 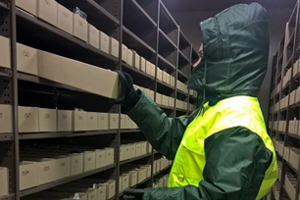 Australia’s equivalent to the Norway Global Seed Vault, the Australian Grains GeneBank (AGG) is one of the many hidden treasures at GIP. The AGG houses an astounding 300 million seeds from more than 150 countries as part of its role in supporting Australia’s ability to conserve and harness biodiversity to support plant breeding for crop protection and adaptation to changing climates. GIP also houses the fully-automated, technologically-advanced Plant Phonemics Victoria (PPV) facility, which is helping to ensure new crop varieties get to farmers much faster. With world-class, in-field high-throughput phenotyping capabilities, the facility delivers unparalleled precision, repeatability, time and cost efficiency compared to conventional phenotyping methods. The half-century of achievement at Grains Innovation Park was recently celebrated with an interactive open day which attracted over 300 farmers, industry representatives and community members who toured facilities to see exactly what goes on at GIP. The feedback was one of amazement from many who visited, acknowledging that Victoria’s grains industry was in extremely capable hands. Visit the Grains Innovation Park website for more details.